Homeowners and businesses can install electric vehicle charging for as little as $1,500 with solar; Now more Americans than ever will be able to “drive on sunshine”, by charging their electric cars with solar power, and save up to 77 percent on fuel costs. SolarCity has partnered with industry pioneer ClipperCreek to provide electric vehicle (EV) chargers compatible with all new EVs. SolarCity will initially install ClipperCreek EV chargers through its 24 operations centers nationwide, making it the largest single provider of EV, solar and energy efficiency services in the U.S.
Pricing for home or business installation of a ClipperCreek 240-volt Level II EV charger, including the charger, starts at $1,500. Charging at Level II is roughly five times faster than using a 120-volt wall outlet. For its solar and energy-efficiency customers, as well as those who wish to install EV chargers only, SolarCity can prepare a home or business to be EV ready even before delivery of an electric car. Powering an EV with electricity generated from a home solar system can be 77 percent less expensive than powering a car with gas. An average San Francisco Bay Area resident paying the national average of $3.65 per gallon gas spends about $230 per month to fuel her gas-powered car. She’d pay $107 to power an equivalent-size EV with grid electricity, and, by leasing a solar system from SolarCity, only $54 to power the car with solar electricity for the same miles driven. ClipperCreek pioneered EV charger safety features in the mid-1990s that have become the industry standard. Its UL-listed chargers are designed for use with the Chevy Volt, Ford Transit Connect, Nissan Leaf, Tesla Roadster and all SAE-compatible plug-In vehicles that are soon to be released from major and most new car companies. SolarCity installed the world’s first solar-powered enhanced electric car charging corridor, between Los Angeles and San Francisco, in 2009. 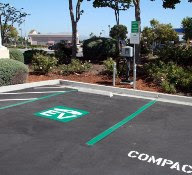 The EV chargers, located at Rabobank branches along highway 101, support the new industry-standard J1772 protocol common to newer EVs. SolarCity is also the North American distributor of EV chargers for Toyota Tsusho, which represents a public EV infrastructure of thousands of chargers. Cool Energy, Inc., a developer of clean energy power generation systems, today announced that it has joined the Idealab network of operating companies and received significant funding from Idealab. Founded by Bill Gross in 1996, Idealab creates and operates pioneering technology companies. Based in Pasadena, CA, Idealab has created companies with breakthrough technologies in industries such as robotics, renewable energy, automotive design, search and Internet media and services, among others. “Bill Gross and Idealab are great to work with,” said Sam Weaver, a founder and current CEO of Cool Energy. “They have years of experience in developing successful technology companies and have a complete understanding of renewable energy markets, and what choices are needed for solid growth and success." * 11 investors have helped fund Cool Energy, according to an SEC filing made on Friday, July 15. Nordex UK has obtained an order to supply 21 N90/2500 wind turbines. The customer is a joint venture company, majority owned by Statkraft, Europe´s leader in renewable energy. The 21 turbines are to be installed in the Scottish Baillie Wind Farm during August 2012. Statkraft has also signed a Premium Service Agreement with Nordex for five years. Baillie Wind Farm is to be built near the north coast of Scotland so enjoys high average wind speeds over 9 m/s, requiring a robust machine certified for high-wind sites in accordance with IEC 1a. After raising the wind class suitability in the whole multi-megawatt product family, Nordex now offers the N90/2500 for these locations. "The N90/2500 is the most cost-efficient machine providing high wind yield at a tough site. In the UK and Ireland there are many invitations to tender for high-wind regions. This is why the IEC 1a certificate for the N90/2500 offers a major opportunity on the market," says Bryan Grinham, Managing Director at Nordex UK. The Baillie Wind Farm was developed by Steven and Thomas Pottinger who remain partners with Statkraft and are developing further wind turbine sites in the area. To comply with the restrictions of 110 metres tip height, Nordex is setting up the 21 turbines on 65-metre towers. These are able to generate a yield of approximately 180 gigawatt hours a year, sufficient to meet the demand from some 39,000 British households. "We are very pleased to be working with Statkraft for the first time. During the negotiations we showed once again that we are able to react flexibly to the complex requirements of a major utility. This is a good basis for future projects together," says Lars Bondo Krogsgaard, CSO Sales and Marketing at Nordex SE. Schneider Electric, a global specialist in energy management, announced at Cisco Live, Cisco's annual IT and communications conference, that it has teamed with Cisco to provide an innovative comprehensive energy management solution that monitors and manages energy consumption across all building domains. With this combined solution, building owners and managers, architects, contractors, and IT managers will now be able to optimize energy efficiencies and business operations to save energy. Schneider Electric's comprehensive EcoStruxure(TM) active energy management architecture portfolio offers a single point of access that connects five domains of business expertise -- power, data centers, process and machines, building control, and physical security – all within an open and flexible technology framework. The EcoStruxure architecture integrates with Cisco EnergyWise(TM) embedded on the Cisco network infrastructure to provide a holistic building management solution, managing all energy-consuming building assets, such as HVAC, lighting, security and, for the first time, reduce energy waste generated from IT/IP assets, including PCs, phones, Catalyst switches, Power-over-Ethernet (PoE) endpoint devices and other IT devices. With rising energy costs in buildings accounting for 42 percent of energy usage worldwide, there is an impetus to find ways of reducing energy consumption with these IP/IT devices within buildings and across the network. "Looking for innovative ways to increase energy efficiency and enable business performance within buildings is what Schneider Electric does every day with thousands of customers worldwide," said Chris Curtis, president and CEO, Buildings Business, Schneider Electric. "Combining Schneider Electric's EcoStruxure architecture and Cisco EnergyWise provides organizations with the capability to go one step further and manage the energy consumption of IT/IP devices and PCs in the building management system domain for the first time. We are very excited about this opportunity and what our joint innovation will mean for reducing energy consumption in buildings across the globe." For example, two schools in Europe used the combined solution from Schneider Electric and Cisco in a pilot project and are currently saving approximately 30 percent of their IT energy, resulting in an overall reduction of close to 6 percent of their overall energy spend. Delivering a rapid, measurable return on investment (ROI), the combined solution provides users with the ability to reduce overall IT operating costs by up to 30 percent and overall building costs by close to 9 percent; to meet regulatory and compliance mandates; and to accomplish corporate sustainability goals. focused on energy infrastructure projects. in North America and among the largest in the world. would stretch for 8 miles (13 km). customers to continue our expansion in America." of operating history and more than 1,500 turbines on the grid. 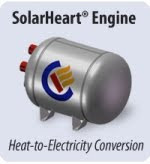 including increasing the turbines' heat exchanging capacity. Wisconsin, Maryland, Iowa, and Idaho. more affordable to our customers"
costs while adopting clean power and reducing their carbon footprint. Blue Line Innovations makers of the proven PowerCost Monitor™, today announced a big step forward in choice and consumer engagement with their application partnership with People Power Company. The solution is live today and enables homeowners to see their real time electricity usage anywhere, anytime on iPhone and Android smart phones. People Power1.0 receives live data feeds every 32 seconds from the PowerCost Monitor™ WiFi Gateway, which is broadly available through Lowes, Amazon and other retailers. Peter Porteous, CEO Blue Line Innovations, comments, “this is a huge step forward for consumers. As we know information is only the first baby step, what the consumer chooses to do with that information or what that data can enable in the home is the key. Early attempts such as the dashboards created by Microsoft Hohm™ or Google PowerMeter™ were terrific first steps but People Power1.0 takes the feature set and the opportunity for full family engagement to a whole new level. We have pioneered in this category since 2004, have over a 150,000 families using the PowerCost Monitor™ today and have terrific customer feedback and input. This partnership and mobile application really hits the mark”. • Real time energy use monitoring – now and trend charts. Real time rate structures are automatically loaded for the homeowner based on their specific utility or energy reseller. “We are delighted to be partnered with Blue Line Innovations. We believe simplicity is key to a great customer experience and we love the fact that the PowerCost Monitor™ is proven and is easy to buy at any neighborhood Lowes. It's easy to install by anyone and does not require an electrician or an understanding of the breaker panel”, said Gene Wang, CEO People Power Company. "With People Power 1.0's easy set-up process on any Android or iOS device, customers are going to be excited about our Blue Line People Power solution to start managing their personal energy, anywhere, anytime” Porteous added, “this is another important step in bringing choice to our customer base. Our Blue Line strategy hinges on our unique and patent protected optical sensor. We are in the business of providing universal access to real time electricity data for both utilities and homeowners”. 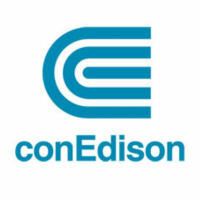 Comverge, Inc. (Nasdaq:COMV), the leading provider of Intelligent Energy Management solutions for Residential and Commercial + Industrial (C+I) customers, today announced it has partnered with Consolidated Edison Company of New York (Con Edison) to help New York City's Department of Homeless Services reduce energy cost by approximately $120,000 per year. By leveraging Comverge's intelligent energy management software and services, New York City's Homeless Services will be in a better position to achieve its energy efficiency goals, reduce daily energy costs, and become eligible for financial incentives. The new deal marks more than 7,200 customers that Comverge and Con Edison have partnered with to help reduce their energy consumption. "Homeless Services is committed to conserving energy and investing in environmental efforts for New York City," said Todd Hamilton, Acting Deputy Commissioner of Facility Maintenance and Development for the Department of Homeless Services. "By partnering with Comverge and Con Edison, we were able to strike a balance of serving our clients while effectively managing energy." Comverge and Con Edison worked closely together to design a program that helps Homeless Services facilities operate more efficiently; this program calls for facilities to install energy efficient measures to reduce energy use during times of peak demand. By securing rebate incentives and lowering use on unusually hot days, New York City' s Homeless Services is able to reduce daily energy usage and generate capital to offset operational costs without sacrificing the well being of those it provides services for. "Comverge and Con Edison have a long history of helping the residents and businesses in New York save energy by delivering intelligent energy management products and services," said Chris Camino, executive vice president of sales and CMO, Comverge. "The flexibility of our solution allows us to turn our understanding of complex customer challenges into programs that fit specific needs. Whether it be a need to reduce cost and understand the profile of their energy usage or a desire to serve as an energy steward in the fight against global warming, Comverge and its utility partners deliver savings without sacrificing operations or comfort." Darlene Snow has been appointed Executive Director of the Wind Energy Foundation, a Washington, D.C.-based organization founded in 2010 to educate the public about the benefits of wind power. Bringing to the Foundation over 20 years of experience leading public education campaigns at several of the world's largest communications firms, Snow most recently headed up the Industry Affairs and Energy practices at Ogilvy Public Relations Worldwide, where she created a number of award-winning campaigns as a senior vice president in the firm's Washington office. Prior to Ogilvy, Snow led the technology practice at Edelman Los Angeles during the dot-com boom, working with a number of leading technology and Internet companies. The Wind Energy Foundation is focusing in its first year on U.S. education programs, Snow said,. However, its scope is global, and the campaigns will ultimately be geared to reach an international audience. In addition to supporting research projects and wind education programs, the Foundation is a partner in WindMade™, a new labeling program for companies, facilities, and soon, products that source at least 25 percent of their electricity from wind energy. "I am tremendously excited to take this opportunity to share the compelling story of how wind power is good for America," said Snow. "Having produced 35 percent of our nation's new electricity generating capacity during the last few years, wind energy is now a major player in the energy industry and enjoys tremendous public support, especially in communities powered by wind. What's exciting about the Foundation's education-centered mission is that the facts best tell wind's story. By educating the public on those facts and supporting research that will enable an ever-increasing body of information to come to light, the Wind Energy Foundation will provide an invaluable service—not only to wind energy—but to America and every country seeking to diversify into clean energy." Virtually each stop along Snow's career has helped to make her an ideal fit for the executive director post. As a private consultant, Snow led several national initiatives for the U.S. Environmental Protection Agency's Office of Solid Waste. Earlier, she served as a national spokesperson on recycling and resource recovery programs at the National Solid Wastes Management Association. Snow began her career at Gershman, Brickner & Bratton (GBB), an environmental consulting firm specializing in solid waste project development. She has a B.S. degree in Environmental Resource Management from the Pennsylvania State University, where she served as president of the university EcoAction chapter. "Darlene Snow brings a stellar combination of experience, skills and talents to the Wind Energy Foundation. As Executive Director, she will lead our campaign to educate America about the extraordinary benefits wind energy brings to the American people: homegrown and reliable electricity, jobs and economic development in every corner of the country, and a tremendous hedge against volatile fuel costs," said Don Furman, vice president of external affairs Iberdrola Renewables and chairman of the Foundation's board of directors. 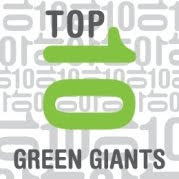 Greentech Media published its selection of top green giants for 2011 few months ago already.